Имате въпрос към Foresto Sukhothai Guesthome? Удобно разположен в Сукотай, Foresto Sukhothai Guesthome е чудесна стартова точка, от която можете да започнете да проучвате този оживен град. Само на 1.2 km от градския център- това стратегическото местоположение на хотела гарантира на гостите си бърз и лесен начин за достигане до интересуващите ги точки на града. С удобното си местоположение хотелът предлага лесен достъп до всички градски забележителности, които задължително трябва да се видят. Foresto Sukhothai Guesthome прави всичко възможно гостите да се почувстват удобно. Затова хотелът предоставя най-добрите услуги и удобства. Гостите на хотела могат да ползват съоръжения като безплатен WiFi достъп във всички стаи, светилище, ежедневно почистване, пощенски услуги, таксиметрови услуги. Всички стаи се отличават с грижливо замислени удобства, което гарантира неповторимо усещане за комфорт. Освен това в хотела можете да се възползвате от множество предложения за приятно прекарване на свободното време. Foresto Sukhothai Guesthome е добър избор за всички посетители на Сукотай, защото предлага спокойствие и безпроблемен престой. The jungle-esque aspect of of Foresto is a world away from the bustle of the (very) nearby Sukhothai streets. You really are hidden away here, from people, noise and traffic. There is a large parking area at the front of the complex, then reception and dining area, then rooms. All the rooms have a little sitting area with chairs and the whole area is steeped in attractive gardens which gives the impression of much-needed privacy (not much in Asia generally). Our room was large and tastefully decorated. Breakfast was included which is a very welcome addition if you're site-seeing. Eggs are high on the agenda and there are also a couple of Thai soups with tea/coffee and juice. Locally there are plenty of tourist eateries, but if you prefer what the locals eat, as we do, walk over the bridge to the street stalls...yum! Overall Foresto is in need of basic maintenance...tiles coming off pool, some timber wearing out; however it is a delightful place and I would most certainly revisit. I had the pleasure of staying at Foresto Sukhothai Guesthouse on a recent trip. This accommodation was outstanding! Upon arrival, I received a complimentary upgrade to a poolside bungalow. My room was large, clean and comfortable. The pool is very nice, especially in the evening, with the color changing lights. The restaurant is excellent. The operator/manager really made the experience. He was extremely helpful, and spoke very good English. I was able to book all of my tours and my transportation, through the front desk. The location is a short walk to anywhere you need to go in town. Beyond that, the manager will facilitate. The internet was solid and consistent. 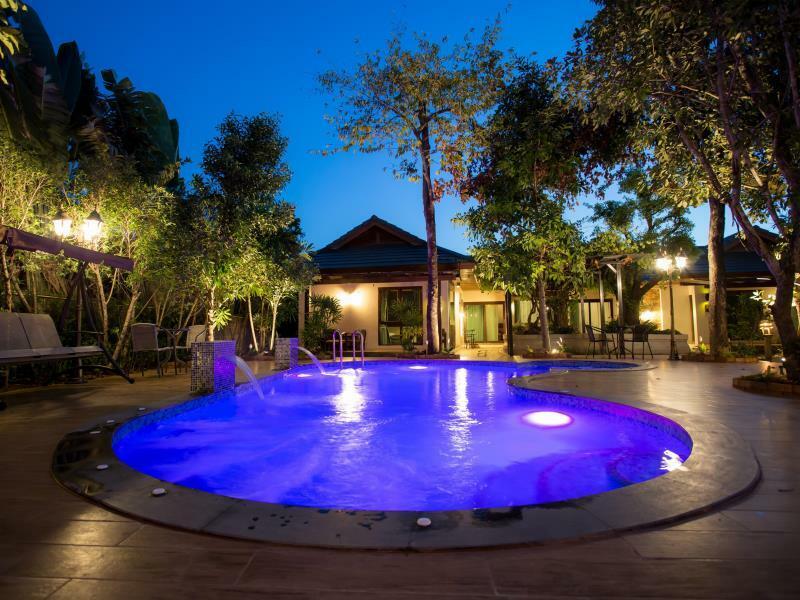 I would definitely stay here again, and I highly recommend Foresto Sukhothai Guesthouse! The room was very big. Bed was very comfortable. Breakfast is a list of choices (not buffet style) which is good. Location is perfect and close to a few bars & restaurants. Guest host is very friendly and helpful. He told me all the locations and transport methods to get there. Although swimming pool is small but everything exceeds expectation. I will definitely go back. Highly recommended from my experience from which I stayed for 3 nights. Rather than lecturing me (about the 2pm check-in time), the man behind the front desk gave me a stunningly beautiful modern chic unit. The location is central, in town, by the river, next to a 7-11. The restaurant is between very good to excellent. Transportation to the airport is convenient; man behind the front desk will call and reserve a seat in a van for you. Have stayed here several times and things are only getting better. They now have a new pool and have added to their gardens as well. 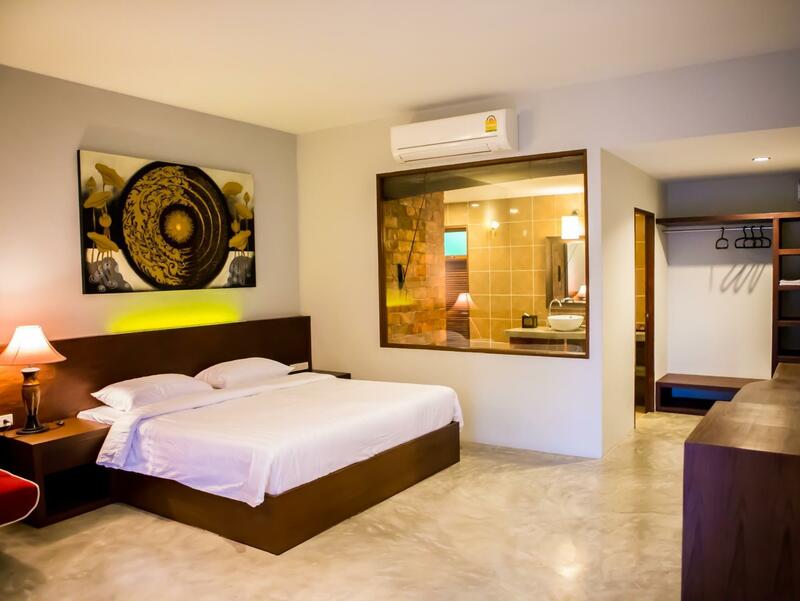 Rooms remain well maintained, spotlessly clean, roomy and with very comfy beds. 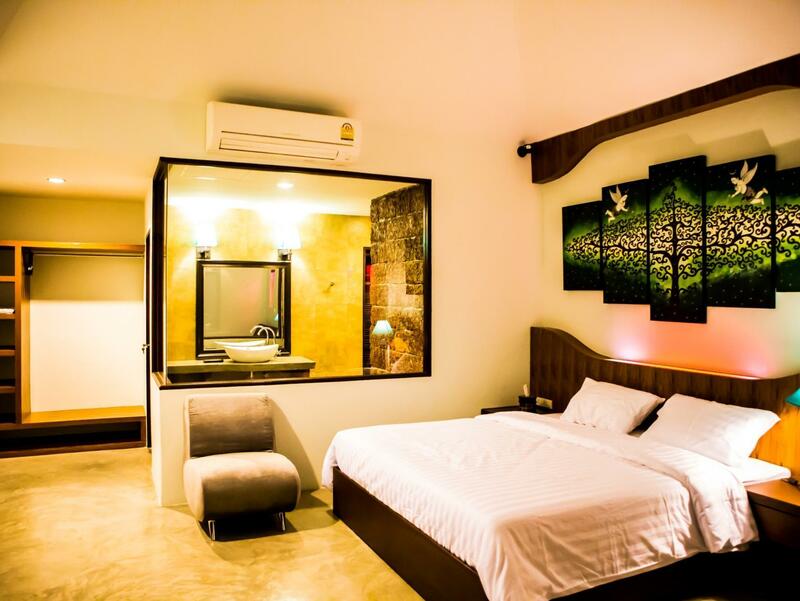 The owner has put an effort into design and giving the rooms some culture and character. 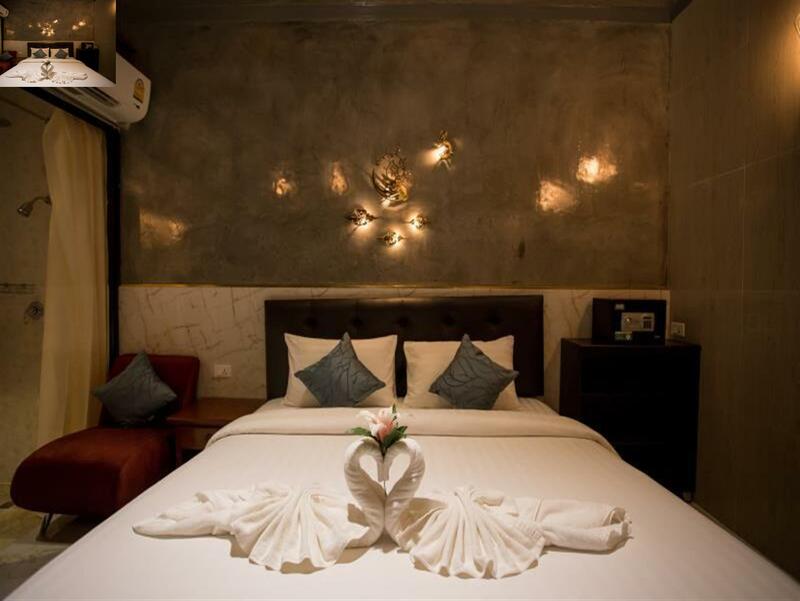 Together with delicious food in their restaurant and genuinely warm and helpful service at this family run business, we highly recommend them as hands down the best place to stay in Sukhothai city. 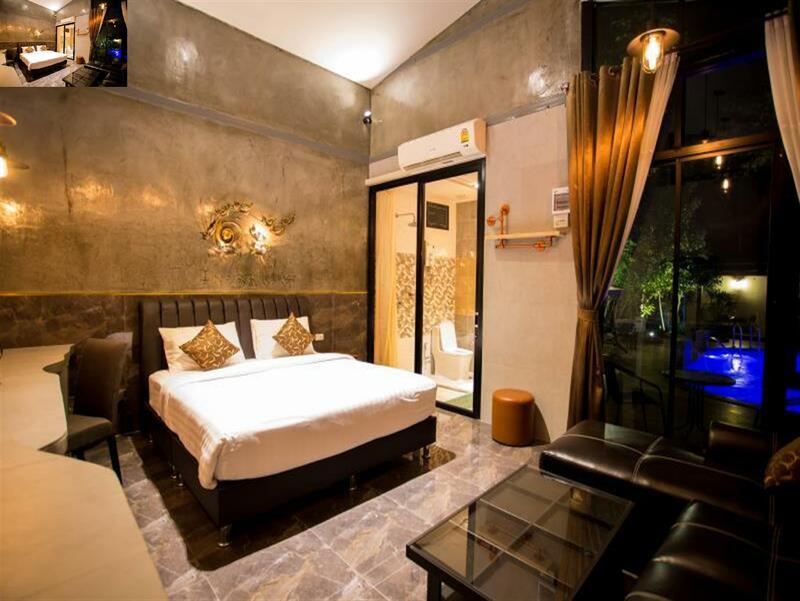 One of the best hotel in new Sukhothai city. Based on the new city is small and boring - the location of Foresto is great, maximum centered, all you need will be near in few steps. Bus station - about 2 km. Clean spacious & nicely decorated room, LCD TV with many international channels and great location. 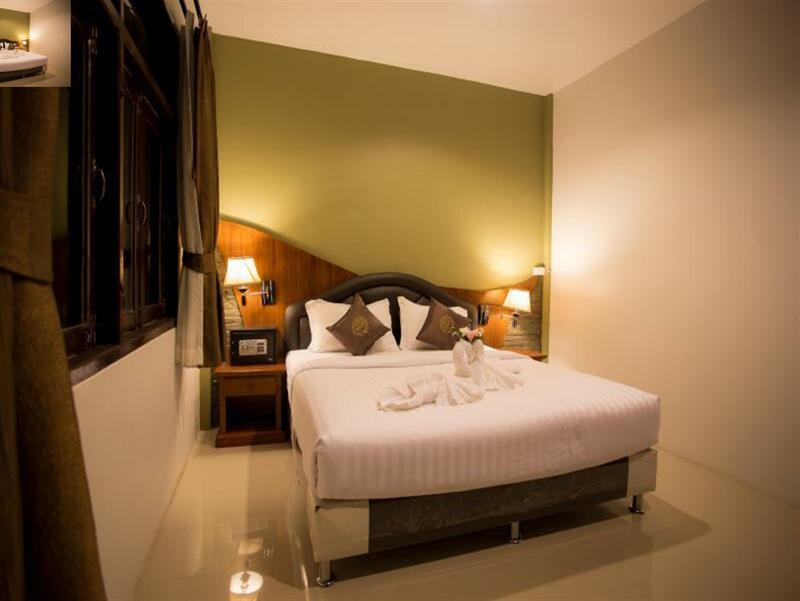 The guest house exterior does not look impressive to passer by, but the guest rooms situated behind the owner's residence has room features & supplies that can match 4-star accommodation. Some examples are: this hotel is relatively new, less than 2 years in operations. 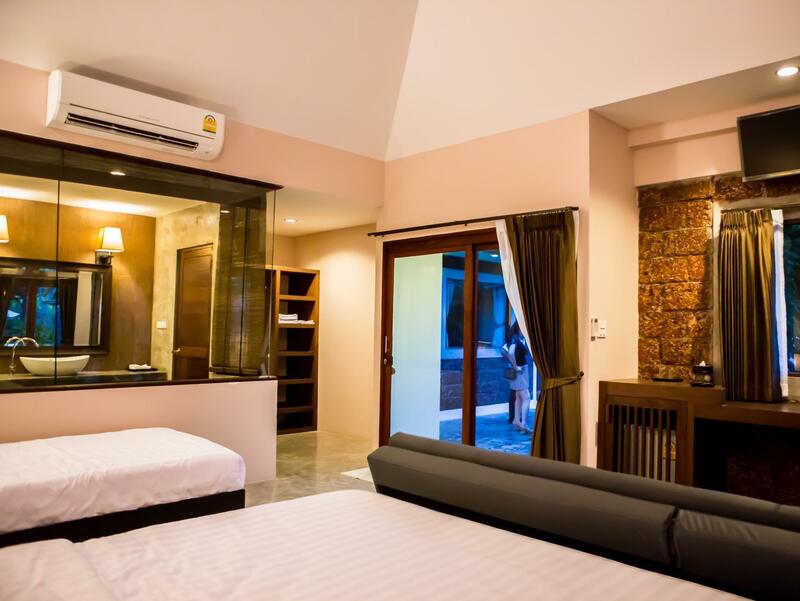 Its rooms are nicely decorated, spacious, has high ceiling, 2 teakwood chairs with coffee table at foyer outside the room and facing the garden, inside there is sofa for watching tv, nice hot shower, open shelf wardrobe that i like, etc. It comes with 32" LCD TV with international channels, good wifi connection, individual bottled shower bath and shampoo, etc. It is very near the town centre. There are several food outlets nearby, and the bus station providing shuttle service to the historical park is within walking distance, 150m away. It was a very pleasent stay. The property is well located with easy access to markets, restaurants and transportation to old Sukhotai and the airport . Would stay again. The room is big, modern and the bed is very confortable. This is our second time we stayed at Foresto in Sukhothai, we decided to come back here again because of the hotel room was very impressive by the size, cleanliness, and design. The hotel owner was very friendly and helpful. The hotel located in the city center with a short walking distance to 7-11, restaurants, and food stalls. We enjoyed our time there and would recommend this hotel for Sukhothai visitors.